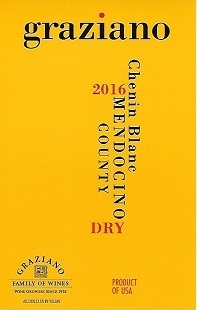 Chenin Blanc produces some of the greatest white wines of France. In the loire region, the wines of Savennieres, Vouvray, and Saumur produce a wide range of styles of Chenin Blanc from sparkling, to sweet and everything in between. This wine combines the mineral-laced steely acidity and structure of a classic Loire style wine, with the rich, creamy texture and roundness and fullness of fruit of a California wine. Aromas of wet stone, peaches, pear, and citrus all comingle in this racy, complex wine. Pairs well with seafood or pasta salad and grilled chicken.